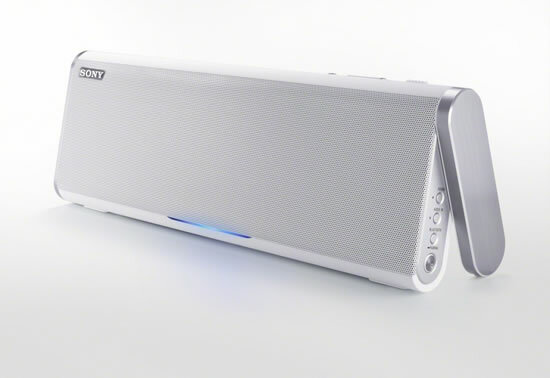 Sony today introduced four portable Bluetooth speakers with NFC (Near Field Communication) technology, designed to stream powerful, dynamic sound experiences from smartphones, tablets and computers whether in the home or outdoors. The new Sony X-Series NFC-equipped speakers (SRS-BTX500 and SRS-BTX300) include AptX and AAC Bluetooth codecs to ensure high quality sound while streaming wirelessly. The premium SRS-BTX500 model features sound technologies specifically designed by Sony to deliver dynamic sound and a powerful bass experience without sacrificing portability. These new speakers also stream music wirelessly from iPhones and iPads as well as Android smartphones and tablets that are not NFC equipped, once pairing through traditional means. Using Magnetic Fluid technology developed by NASA, Sony had created the world’s first full-range, damper-less speakers. The removal of the vibrations caused by the dampers has led to significant reductions in noise and distortion, delivering clearer and more powerful audio than ever before. In addition, the removal of the dampers has increased energy efficiency. 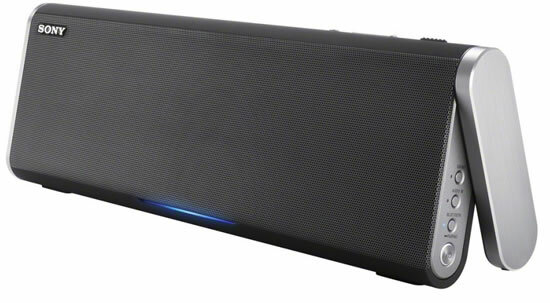 Even with the same amp power, the speaker can crank out 1.6 times the volume of a conventional speaker. Sony’s unique Clear Phase circuitry reduces distortion and increases sound presence for a crisp and clean listening experience. Built-in rechargeable lithium-ion batteries provide approximately eight hours (SRS-BTX300) or approximately six hours (SRS-BTX500) of continuous playback, giving music lovers the freedom to enjoy premium Sony sound throughout the house or on the go. Both speakers offer the added convenience of a hands-free speaker phone and USB charging port for any smartphone, as well as a neoprene carrying case. Sony’s new line-up also includes the SRS-BTV5 and SRS-BTM8 portable wireless speakers, both featuring NFC technology and hands-free calling. 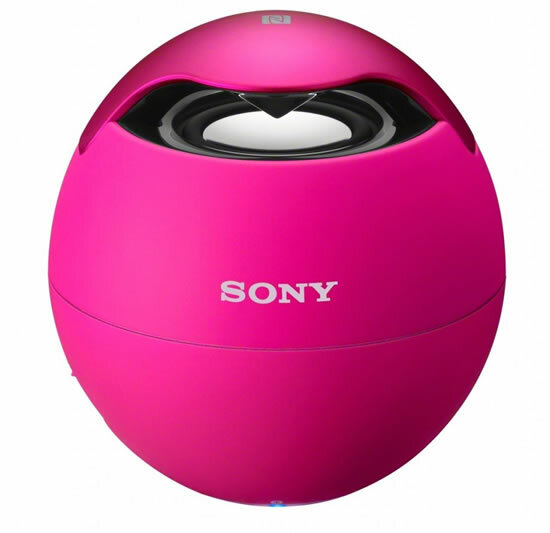 About the size of a racquet ball, the SRS-BTV5 speaker is ultra-lightweight and delivers remarkable sound for its size with Sony’s 360-degree Circle Sound audio diffusion technology. 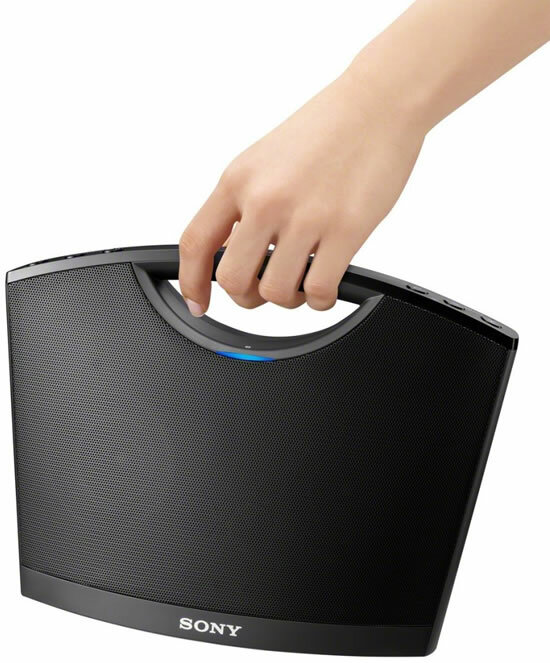 With a built-in rechargeable battery providing up to five hours of continuous wireless playback and its included carrying bag, the SRS-BTV5 speaker is ideal for portability. The SRS-BTM8 speaker is designed with a handle for easy carrying anywhere in the house or on the go, and features an AC adaptor as well as dry battery functionality for up to 20 hours of wireless playback. The new portable wireless NFC speakers will be available in March for- SRS-BTX500, $299, black, SRS-BTX300, $199, black and white, SRS-BTM8, $99, black and SRS-BTV5, $69, black, white and pink.